HomeMediaGrantee FAQ: Employee or Contractor, and why does it matter? Q: A new worker is being hired to assist with our grant. Does it matter whether we classify them as an employee or a contractor in our paperwork? A: Yes: this difference is important, because the documentation of time and effort must match the type of worker hired. Document time and effort (i.e. timesheets). Document pay to employee (i.e. pay stub). If payroll is processed by a third-party accounting service, you must also include proof of payment from your bank to the third party. 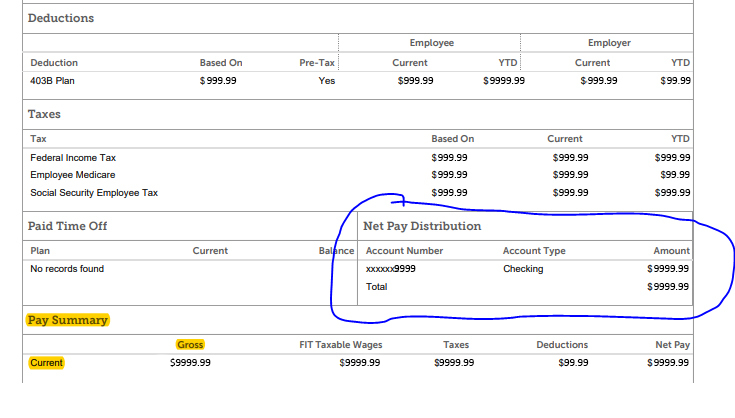 If payroll is processed by the grantee’s bank account and the pay stub includes the organization’s banking direct deposit information, you do not need to include additional proof of payroll payment (see Figure 1 example below). Figure 1. Net Pay Distribution section of direct deposit pay stub. EXAMPLE ONLY. Actual amounts redacted. Document contract outlining work responsibilities relevant to grant. Document the rate paid per hour or per service to the contractor. Document invoice from contractor to grantee. Document payment sent to contractor. Document proof payment has cleared from the organization’s bank account. The Texas Workforce Commission has adapted IRS’ guidelines on when to classify workers as employees versus contractor. Refer to the 20-question test (see “Employment Status – A Comparative Approach”) if you are having difficulty determining what type of worker time and effort documentation is needed. Featured Photo Background Source: COMSEVENTHFLT, “120304-N-SD300-019.jpg” on Flickr. Creative Commons license, Attribution Required.